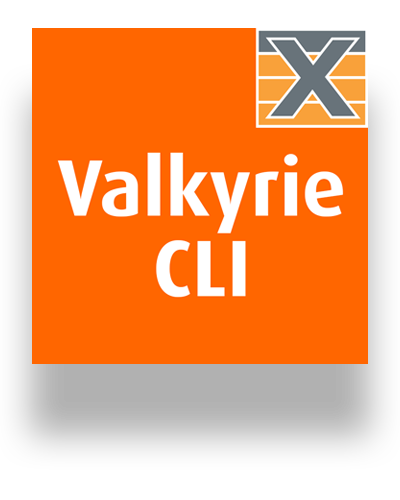 ValkyrieCLI is a command-line-interface (CLI) scripting API that makes test automation easy for test engineers using the ValkyrieBay and ValkyrieCompact chassis. ValkyrieCLI is a command-line-interface (CLI) scripting API which supports multiple concurrent scripting sessions. 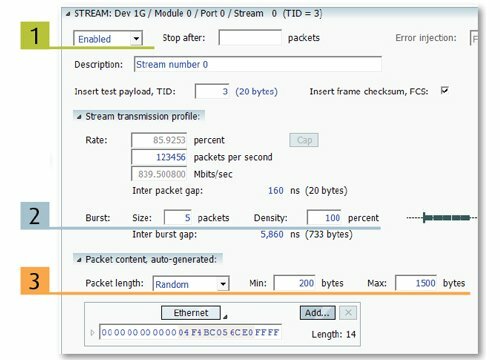 This makes it easy for different users – in different locations – to work on the same Xena chassis simultaneously. Everything you can do with ValkyrieManager can also be done via ValkyrieCLI, using simple CLI text commands. There are several hundred scriptable parameters: from basic streams and capture setup to wild-carding across modules and ports. It is, of course, possible to use the client-side functionality to execute script commands both conditionally and repetitively, which offers real advantages when it comes to test automation. ValkyrieManager saves test port configurations in the exact same CLI command format as used by ValkyrieCLI. This makes it very easy to go back and forth between a ValkyrieManager environment and a ValkyrieCLI environment. 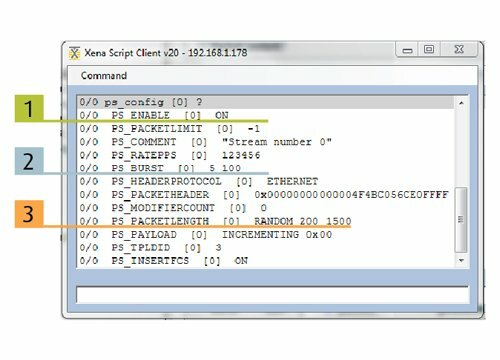 For example, exporting a port configuration from ValkyrieCLIManager generates a configuration file in a simple text format that can be edited using a text editing tool such as Microsoft Notepad. It can then be imported back into ValkyrieManager. Above is a simple example showing 3 parameters from ValkyrieCLI (left) and how they match the structure of the ValkyrieManager GUI (right). The seamless interaction between ValkyrieManager GUI and ValkyrieCLI accelerates your scripting learning curve, letting you get more done quicker as complex test port configurations can easily be defined in ValkyrieManager, and then exported to a text based configuration file, which in turn can be cut & pasted into your scripting tool environment. The Valkyrie2544 and Valkyrie1564 applications can also be executed and post-processed from your automated scripting environment via command line utilities provided together with these test applications.